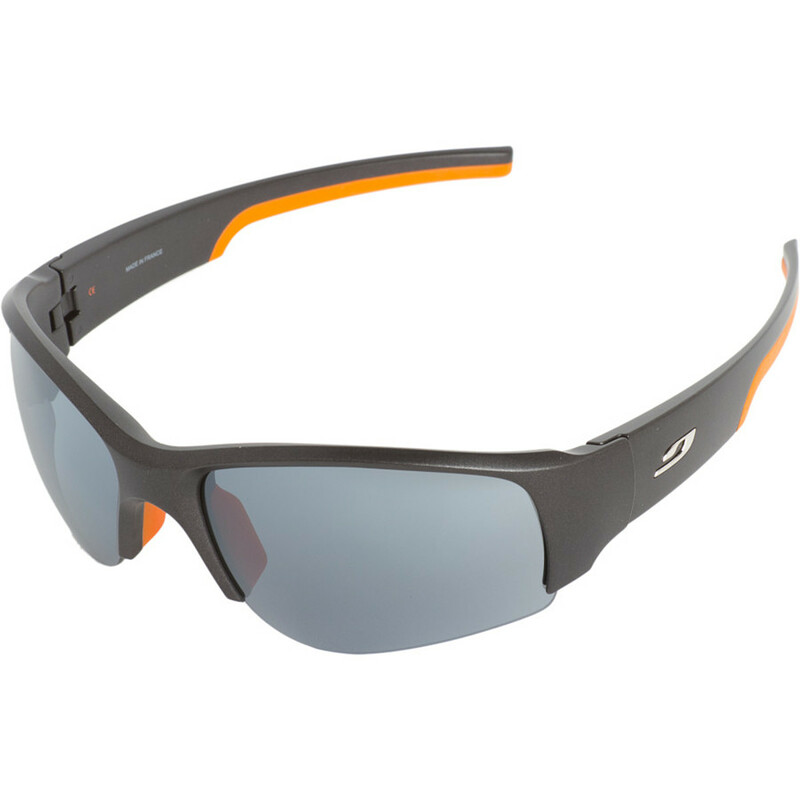 For long mountain bike rides, great climbing adventures, thickly forested trail runs or any other number of great outdoors adventures, pull on a pair of the Julbo Dust Sunglasses (w/Zebra Photochromic Lenses) for the ultimate in eye protection. 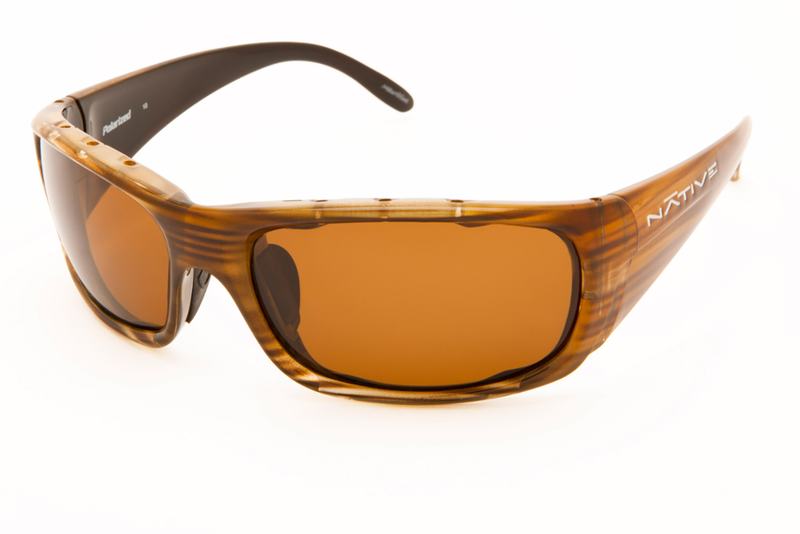 Lightweight and constructed with a wide field of vision, suspended Zebra lenses and an excellent ventilation system, these outdoor, high-action sports oriented sunglasses are tops when it comes to taking care of your visionary needs. Plus, the Zebra lens darkens and lightens in response to light intensity, and offers an anti-fog coating so you can follow lines down sweet singletrack. For mountain biking, climbing and outdoor performance where your vision is of utmost importance, reach for the Julbo Dust Sunglasses (w/Zebra Photochromic Lenses) and see exactly where you're going. 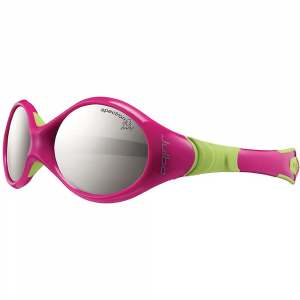 No need to worry about the Julbo Dust Spectron 3+ Sunglasses sliding down your nose or sitting catawampus on your face while you charge downhill on your mountain bike, climb uphill on your road bike, or trail run. Thanks to its Grip Nose and Grip Tech temples, the Dust stays firmly in place, while its slim, flexible frame fits comfortably under your hat or helmet. Polycarbonate lenses with category three protection and flash finish improve visible light filtering with a mirror effect and eliminate the radiation reflected by the outer mirrored surface of the lensLightweight, shock-resistant lenses make the Dust ideal for all types of sports Slim, flexible frame fits comfortably under your hat or helmetGrip Nose and Grip Tech temples enable an ideal and imperceptible hold on your face while you mountain bike, trail run, or raceThe size of the suspended lenses provides superb venting and a wide field of visionProposition 65 Warning for California Consumers: This product contains chemicals known to the State of California to cause cancer and/or birth defects or other reproductive harm. 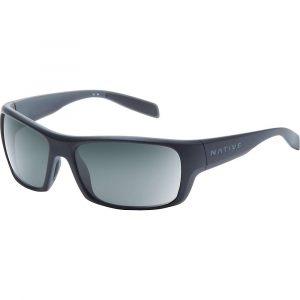 Designed for mountain biking and other intense activities, the Julbo Dust sunglasses provide a snug fit and the slim, flexible frames can slip comfortably under a helmet. 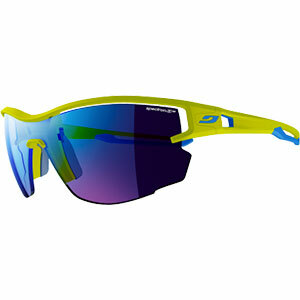 The Julbo Dust is not available from the stores we monitor. It was last seen October 11, 2018	at Backcountry.com.